Federica Bianco is a Visiting Scholar at CUSP. She is an astrophysicist by training specializing in time series analysis, image processing, parameter inference, and machine learning. 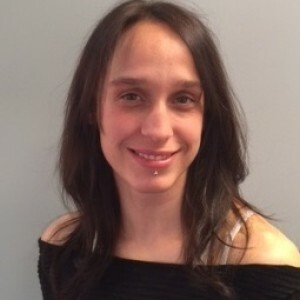 Within the CUSP Urban Observatory, where she applies astronomical techniques to NYC imaging, Federica is leading the study of energy consumption patterns through high-frequency observations of variability of urban light sources and the detection of polluting plumes. As an astrophysicist, her work focuses on astrophysical transients, including studying the progenitor systems of exploding stars (supernovae) and indirect evidence for past stellar explosions within the Milky Way, and she is the co-chair of the Large Synoptic Survey Telescope (LSST) Transients and Variable Stars Collaboration. Federica received her undergraduate degree in Astronomy from the University of Bologna (Italy) completing her senior thesis at the University of Pennsylvania as an Overseas fellow. She continued at the University of Pennsylvania to obtain a Ph.D. in Physics, conducting research at the Harvard-Smithsonian Center for Astrophysics, where she was a Smithsonian Predoctoral Fellow. She held postdoctoral positions at UCSB and NYU as a James Arthur Fellow.